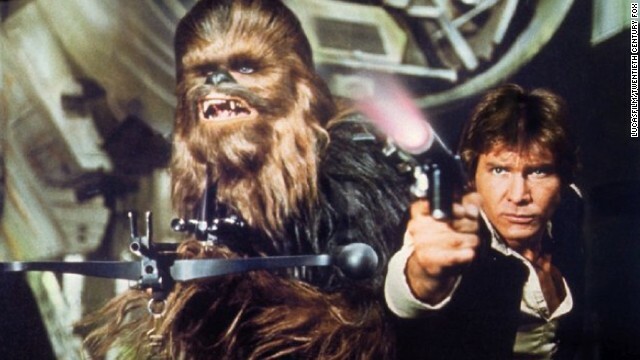 Slowly, details are starting to emerge about "Star Wars: Episode VII." Since announcing a new trilogy of live action "Star Wars" films in 2013, Walt Disney, which acquired "Star Wars'" home Lucasfilm, has been cagey with specifics. But on Tuesday, Disney and Lucasfilm not only confirmed that the film will start shooting this spring - May, to be exact - but it will also take place about 30 years after "Star Wars: Episode VI – Return of the Jedi." That movie, which came out in 1983, featured the stars that have come to exemplify George Lucas' space saga: Harrison Ford as Han Solo, Mark Hamill as Luke Skywalker and Carrie Fisher as Princess Leia. Lucasfilm wouldn't confirm their presence one way or the other, only allowing acknowledgments that J.J. Abrams would direct, "Girls" star Adam Driver is going to play the villain, production is going to take place in London, and the movie's coming out on December 18, 2015. But on Monday, the company seemed to coyly suggest that the rumors about the older stars have all been true. It pointed out in its release that "Star Wars Episode VII" will "star a trio of new young leads along with some very familiar faces." That still leaves us wondering who will play the lead in this project, as speculation circles actors like Jesse Plemmons, John Boyega and Ed Speleers. They've got a good writer and a bulk of the original cast are returning... Am looking forward to it! Yes, in real world sense it will take place 30 years after VI. But in story narrative, it will be just months to years have passed. They will explain that the occupants of the Millennium Falcon flew too close to a nova. The blast of energy aged the occupants 30 years. Each one is dealing with the health issues as they find a way to make more money for saga.